It takes many backspaced drafts to finally get going. Writing honest content is risky. It shakes you from inside. Brings about memories and ideas you had thought were shelved. In-competencies that left the hall but remained behind in mistakes somewhere. Lurking in self-doubt, shaky confidence and yes people. What am I to write tonight? My blog gains this one hour in entire week from me. Never complains or cribs. Keeps the numbers ready, to show it had a decent week. At times a few comments to remind me I have some replies to be done and dusted with. Ball is in my court now. I am to give it some answers. No not the where have you been. He is not my spouse you see. Notice the subtle transition from ‘it’ to ‘he’. Am I even talking about my blog anymore here? 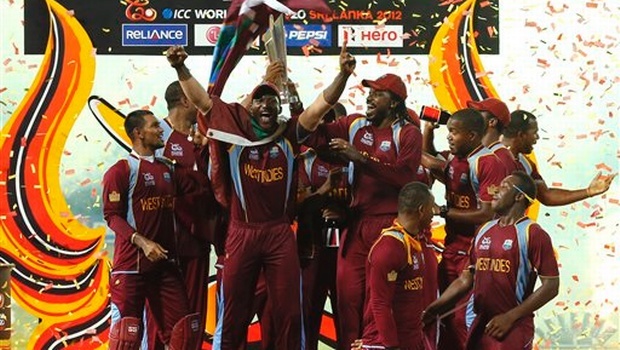 West Indies won the match with two balls to spare. Where nothing works, sheer defiance does. Do you know Hewlett Packard has an award called the medal of defiance? If tonight’s match was anything to go by it was that when the going gets tough, the tough get going. A bad cricketing board, horrible remarks from who is who of cricket and an inconsistent track record to lead up to the tournament. But what we saw was- A happy team who danced their way even in a match they lost! You must see you tube videos of Gayle celebrating with Afghanistan team after they defeated West Indies. Life is that. We often chose to see those who scream and shout their woes out as against those who do not reveal. I was watching this ad on TV the other day. A girl undergoes a break up but has to host a radio show, the very next second . The transformation shook me. I have done that so many times. Cried my lungs in a room and then walked out smiling. Cracking a joke. Back slapping a colleague or a class mate. I think defiance is under rated. Will to show people and situations wrong through sheer grit is less rewarded, still. In fact in an opposite way it is tagged cocky. Or arrogant. The win shows, pain of winning it despite all odds doesn’t. Do you recall any life situation where you would award yourself the medal of defiance? Where you won despite all odds and ‘people’? Tell us. Inspire us with your story tonight. Defiance is under rated. I never realized that I was defiant until a few years ago. I’ve defied traditions and people who said I’ll fail, urging me to settle for security instead of risk. At the end of the day, I’d rather be happy that I tried, than to say I took the safe option. Also one doesn’t know how your defiance becomes hope for someone else. When my husband and I moved out to a rural property to try to live out some of our beliefs, I was defiant all right. Since then, I’ve never been ashamed of sometimes marching to the beat of the sometimes cliched different drummer. Great post. I never had the patience to watch cricket matches !!! Haha really? It needs patience? ‘ The win shows, pain of winning it despite all odds doesn’t.’ – this one line is enough to inspire me to proudly show the scars even if am wounded badly! yes Sreesha there is something about living under duress and being okay that makes all of us notice people. Everyone i know cheered for West Indies… Their defiance… Their determination in the hour of struggle had both moved and captured many hearts. Loved reading this.